Is Nam Joo hyuk Gay ? The 6'2 feet charming South Korean actor and model Nam Joo-hunk is best known for his appearance in kpop dramas "Bride of Habaek", "Who are You: School 2015" and "Weightlifting Fairy Kim Bok Joo". He is also known for his good looks and girls go crazy for him. Joo-Hyuk debuted in the entertainment industry in 2013 as a model for the SONGZIO Homme Spring/Summer 2014 collection. In 2018, Hyuk starred in the historical film The Great Battle which marked his movie debut. Nam Joo-hyuk was born on February 22, 1994, in Busan, South Korea. He is the only child of his parents and moved to Suwon at the age of 16 to pursue his career in modeling. Nam Joo-hyuk is professionally an actor and model who is a member of the South Korean Entertainment company named YG Entertainment. He first started his career as a model and in 2013 modeled for the SONGZIO Homme Spring/Summer 2014 collection. Later in 2014, he featured in the music video of YG Entertainment artist Akdong Musician who is a duo group. After making a mark in the modeling field he then entered the acting world. Joo-Hyuk made his acting debut from the tvN drama called The Idle Mermaid where he portrayed the role of Park Dae-bak. Nam Joo-Hyuk in the drama, The Bride of Habaek. He got his breakthrough role in the teen drama, Who Are You: School 2015 in the role of Han Yi-an, who is a star swimmer at Sekang High School. For his role, he received 4th APAN Star Awards and 29th KBS Drama Awards for Best New Actor category in 2015. In the drama, he is cast opposite Yook Sung-Jae who plays the female lead. Then he appeared in a number of dramas like Glamorous Temptation, Moon Lovers: Scarlet Heart Ryeo, Cheese in the Trap and so on. 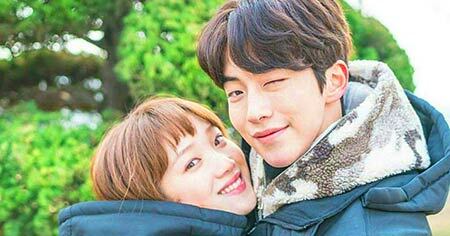 His 2016 MBC drama Weightlifting Fairy Kim Bok-Joo led him to win 36th MBC Drama Awards for the Best New Actor category. In the series, he portrayed Jung Joon-Hyung and acted alongside actors Lee Sung-Kyung, Lee Jae-Yoon, and Kyung Soo-Jin. Nam Joo-Hyuk was chosen to star in the fantasy drama The Bride of Habaek which grabbed a huge audience and people were all praises for him. His cast members of the drama are Shin Se-Kyung, Lim Ju-Hwan, Krystal Jung and Gong Myung. In 2018, Joo-Hyuk starred in the historical film The Great Battle, which marks his big screen debut starring with actors Jo In-sung and Park Sung-Woong as well. Beside drama and movies, he also has appeared in Television shows Nam TV, Off to School, Celebrity Bromance, Three Meals a Day: Gochang Village. Some of his music videos are 200% & Give Love in 2014 and Chocolate in 2015. Nam Joo-hyuk is a popular South Korean model and actor but his net worth is not estimated as of yet. His major source of earning is from acting in dramas and modeling. According to the Korean National Tax Service in 2017, the average salary of an actor is 43 million KRW or $37k. He also earned a good sum of the amount from his modeling career and the male model's average salary is $100,000. Nam Joo-hyuk is possibly single at the moment but previously, he dated an actress-model Lee Sung-Kyung. She has acted opposite him in the drama, Weightlifting Fairy Kim Bok Joo. The duo began dating on April 24, 2017, after being friends for some time and the fans shipped them hard. They soon became the definition of couple goals but due to their busy schedules, they had to split. Joo-Hyuk's agency YG Entertainment released a statement about their breakup which happened on August 18 of the same year. The ex-couple separated in mutual understanding and decided to maintain a supportive senior-junior relationship. 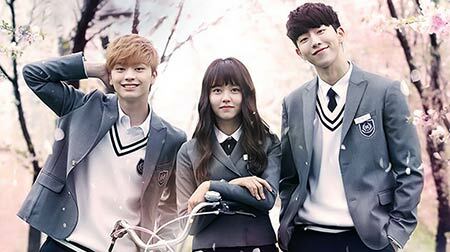 Nam Joo-Hyuk and Lee Sung-Kyung. Besides Lee Sung-Kyung. Joo-Hyuk isn't rumored to be in a relationship with anyone. His other past relationships are not mentioned. He has a huge fan following especially among ladies both nationally and internationally. Since he is pretty popular he has more than 10 million followers on Instagram. He often posts photos with his dogs on Instagram. Joo-Hyuk stands a tall height of 6'2 feet and has looks to die for. He is one of the good-looking actors in the Kpop entertainment industry. Nam Joo-Hyuk and actress-model Lee Sung-Kyung dated for four months before their official split on August 18, 2017. They began dating on April 24, 2017.